In a paper published in JSI–Journal of Spectral Imaging, an Open Access, peer-review journal published by IM Publications Open, José Amigo and co-authors detail a method using near infrared hyperspectral imaging and chemometrics that can sort between different types of plastic and between different additions of flame retardant. 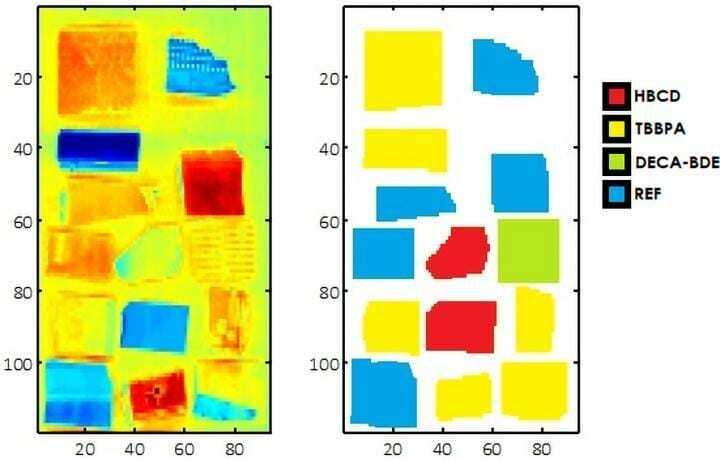 Hyperspectral imaging collects an image of an area and, at the same time, a spectrum for each individual pixel of that image. Chemometrics is a data analysis technique that can discover hidden patterns within data (in this case spectral data) and help build a model to identify parts of the image by their chemical composition. Using an imaging technique for this recycling application is important, since it can identify individual pieces of plastic and any flame retardant they may contain from among many others, for example, on a conveyor belt in a recycling plant.